You wake up on the edge of your bed after not sleeping well. It is hard to get comfortable in bed with an elephant sharing the blankets. You head to work for the day and can feel the eyes of that elephant filling the rear view mirror as you attempt to focus on your drive. You sit at your desk and pretend not to notice this extremely large mammal that is sitting in the corner waiting for its turn in your day. Lunch just isn’t as satisfying as it once was knowing that this elephant is looking at you like a meal of its own. Lucky for you, elephants are herbivores. How long can you ignore this elephant, or his friend the 800 pound gorilla that follow you everywhere you go? When will you finally take a moment to deal with this shadow that is following your every step? Do you enjoy the feeling of security that is brought to your life with this elephant always there? Or are you ready to become the hunter and vanquish this behemoth from your world? 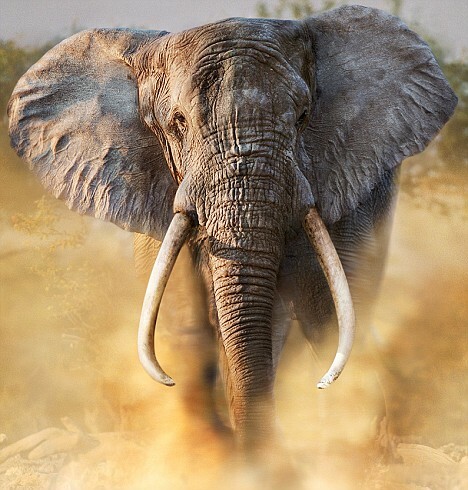 It is time to escape this pachyderm and send it back into the wild and let it run free. That can only happen when you choose to break the chain that binds you two together. What does your elephant in the corner represent? Relationship that you are not giving the attention it needs and it is failing? A child that needs your guidance and isn’t getting it? A job that you are not living up to? Your own personal self-confidence issues? Let’s put a stop to that list here and now and let the elephant free. You can’t wait for someone else to hunt or release your elephant and you can win this battle. Remember – how do you eat and elephant? One bite at a time. Start with that first bite! Chadalyst – Write down what your “elephant” is and when are you going to face that elephant? Thinking about it is more stressful than actually facing it!